We welcome you to Loreto Secondary School, Wexford and express the hope that this website will provide you with important information about our school. • We are Christian educators who aim to communicate to our students by word and by deed what it means to be a fully human person in the light of Christ. • We aim to work in a spirit of close co-operation with each girl’s home as we take a shared responsibility for her overall formation and development. • We place considerable emphasis on the importance of a happy working atmosphere in the school that is based on mutual respect amongst all who study and work here. • We recognise that each girl in the school has strengths, weaknesses, needs and wants that are particular to her. Within the confines of a school system that deals with a student population of 720, we do all in our power to both recognise and cater for individuality and diversity. It is for this reason that we attach great importance to providing a broad curriculum, a wide range of extra-curricular activities and comprehensive support structures for all students. 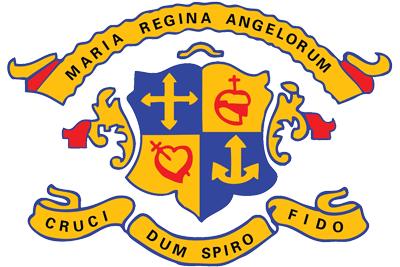 The school was established in 1866 by the sisters of the Institute of the Blessed Virgin Mary (IBVM), better known in Ireland as the Loreto Sisters. The Institute itself was founded by Mary Ward, one of the first women educationalists, who established schools in England and throughout Europe in the beginning of the 17th century. In 1821 Frances Teresa Ball established the first Irish foundation in Rathfarnham, Dublin. Loreto, Wexford is tremendously proud of its history, tradition and past-achievements. It recognises the immense contribution of all those Loreto sisters, lay people and students who have worked in the school since its foundation and who have brought it to the forefront of educational achievement in the town, county, country and further afield. The school, however, is also mindful of current educational reform and change. To this end, we are committed to embracing new thoughts and processes and to being key players in educational debate, discussion and innovation. Ongoing school self-evaluation is now a crucial element in our development. We are looking forward to celebrating the 150th anniversary of our founding in a new school building at Pembroke Hill, Wexford. The building of this school, which will cater for 900 students, will commence in summer 2015 and is due for completion in December 2016. It is our strongest hope that your association with Loreto, Wexford will be both happy and successful and that, working together, we can meet the challenge set by Frances Teresa Ball – “go set the whole world on fire with the love of God”. Principal. Deputy Principal. Deputy Principal.